In the off-season, our Bay 9 concessions building transforms into a seaside bar-restaurant: Riis Point. 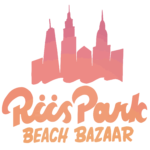 Riis Point joins forces with a featured kitchen partner to bring you the freshest and best in cuisine & beverages in its exclusive indoor location, overlooking the Atlantic Ocean. Affectionately known as a “Slice ‘O Whit,” chef Whitney Aycock’s whole-pie-only agenda (“no slices ever”) belies his love for his craft as well as his own Rockaway Beach community. Everything on his menus are handcrafted and sourced locally, infused with his signature Italian training and Caribbean upbringing, and prepared with great care: foods are often forged in his wood-fired Roman oven or presented with minimal fanfare, straight from his best-kept-secret purveyors directly to your plate. Our venue offers 6,000sq ft of indoor space with an outdoor plaza along the boardwalk that overlooks the ocean. The heated building ensures that it’s a comfortable, all-season space — and is also available for private events. Come get blown away by the freshest food in NYC and the chillest vibes by the sea, all winter long! We’d love to host your event in the off-season at our beautiful seaside destination. Drop us a line and we’ll get back to your shortly!